Physical rehabilitation has been an integral component of human medicine and surgery for decades. We now understand the same principles of rehabilitation that apply to humans apply to our companion pets. Aloha Pet & Bird Hospital has included rehabilitation as part of our veterinary services to improve the quality of care for our canine and feline patients. Rehabilitation is extremely useful for orthopedic or neurological problems, weight management issues, pets that have undergone surgery, or pets in need of conditioning. Appointments are also available for healthy animals and working dogs whose owners are seeking ways of keeping their animals fit and preventing future problems. At Aloha Pet & Bird Hospital, your pet receives complete rehabilitation therapy in a comfortable atmosphere. The treatment modalities we offer include aquatic therapy with an underwater treadmill, massage, three types of acupuncture, herbal medicine, and therapeutic nutrition. Similar to human rehabilitation, our services include a complete medical evaluation tailored to your pet's condition, including home care instructions and education. We also offer a comprehensive, customized home exercise program so the rehabilitative process can continue at home. Rehabilitation services are administered at our beach side Indian Harbour Beach facility by Dr. Danielle Becton, a certified canine rehabilitation therapist and acupuncturist, and certified veterinary technician Ashley Holtz. 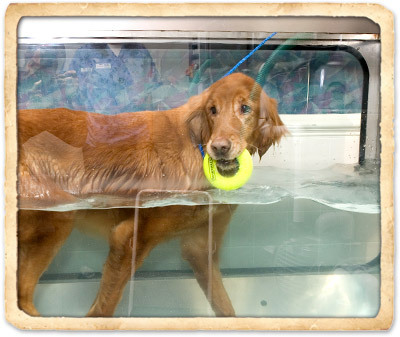 At Aloha Pet & Bird Hospital, our underwater treadmill (UWTM) is one of our most important rehabilitation modalities. 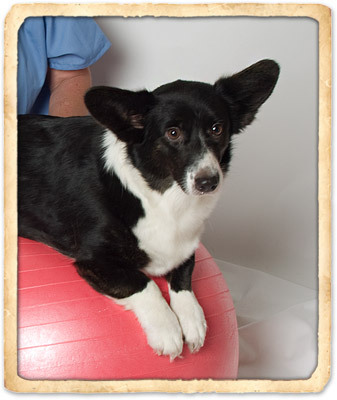 The UWTM provides our pet patients with a low-impact environment for safe exercise. While using the UWTM, your pet can bear his or her weight with less pain, while also becoming more aware of his or her body and joint range of motion. The UWTM encourages movements used in walking and swimming. This results in greater strength, balance, joint mobility and decreased recovery time. Studies have shown that UWTM patients suffering from chronic pain experience emotional and psychological improvements and pain reduction. If you think your pet would benefit from UWTM therapy, give Aloha Pet & Bird Hospital a call today. With one or two weekly sessions, your pet can benefit from all that the UWTM has to offer! One of the most common types of holistic medicine for pets and humans alike, acupuncture has been used for millennia and is said to alter various biochemical and physiological conditions and help the body heal itself. Through stimulation of specific points on the body, research has demonstrated acupuncture can be effective for certain medical conditions. Acupuncture points contain nerve bundles, clusters of blood vessels, and increased numbers of mast cells that release histamine and other chemicals when stimulated, including endorphins and enkephalins, the body's natural pain killers. At Aloha Pet & Bird Hospital we're proud to offer acupuncture as a method of pain management or treatment to our patients. In addition to the traditional "dry needle" approach, we also offer electro-acupuncture and aquapuncture. Electro-acupuncture involves applying a pulsating electric current to acupuncture needles to further stimulate the acupuncture points being targeted. This method replaces hand manipulation of the needles to produce greater stimulation without causing any tissue damage. Aquapuncture involves using hypodermic needles, rather than the traditional tapered-tip, to introduce fluid into acupuncture points. 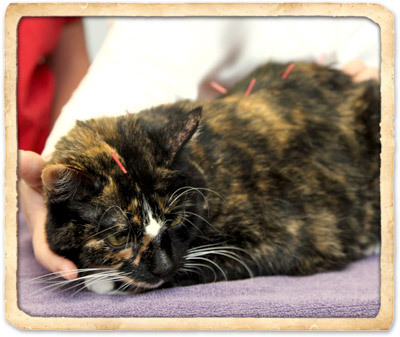 Often used for pets who cannot sit still for as long as traditional acupuncture requires, these direct shots introduce natural vitamins, such as B-12, quickly into targeted areas to help alleviate muscle pain and discomfort. One of our doctors will conduct a thorough examination of your pet before any treatment begins. This examination often involves an in-depth history of environmental and emotional situations that may be affecting your pet's condition, as well as palpation of certain acupuncture points. Treatments themselves last anywhere from 10 seconds to 30 minutes, depending on the condition treated and the method used. Pets are typically treated once weekly for four to six weeks, but this can vary based on the individual pet's condition and response to the treatment. Herbs are plants that contain ingredients with active therapeutic properties. Herbal approaches have been developed for the management of almost all conditions that challenge conventional veterinary medicine, including epilepsy, chronic kidney failure, chronic lameness, hormonal disorders, behavioral disorders, allergic skin disease, liver failure, and inflammatory bowel disease. The doctors at Aloha Pet & Bird Hospital believe that in some cases the use of herbal remedies produces improved outcomes and fewer side effects than many pharmaceutical products. Clinical and laboratory research has shown certain herbs can support normal function of the liver, kidneys, heart, and immune system; reduce inflammation and improve blood flow through damaged tissues; promote the differentiation, aging, and death of tumor cells; and reduces pain. In many cases, herbal medicine can eliminate the need for chronic conventional medications. The success of herbal treatment varies according to the age of the pet, prior treatment history, and diagnosis. 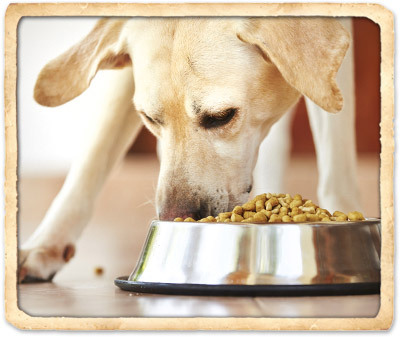 The medical team at Aloha Pet & Bird Hospital uses diet along with vitamin and mineral supplementation as a form of therapy not only to maintain health, but also to treat disease. Therapeutic nutrition supports the immune system and enhances the healing process.